Product categories of Three-axis Stabilizer, we are specialized manufacturers from China, Three-Axis Stabilizer, Popular Three-Axis Mobile Phone Stabilizer suppliers/factory, wholesale high-quality products of Professional Three-Axis Stabilizer R & D and manufacturing, we have the perfect after-sales service and technical support. Look forward to your cooperation! Three-axis Stabilizer is composed of pan axis, rolling axis and tilt-axis. With a gyro-stabilized gimbal system, it keeps stabilized or steerable horizon with automatic calibration to give you an unprecedented smooth shooting experience. 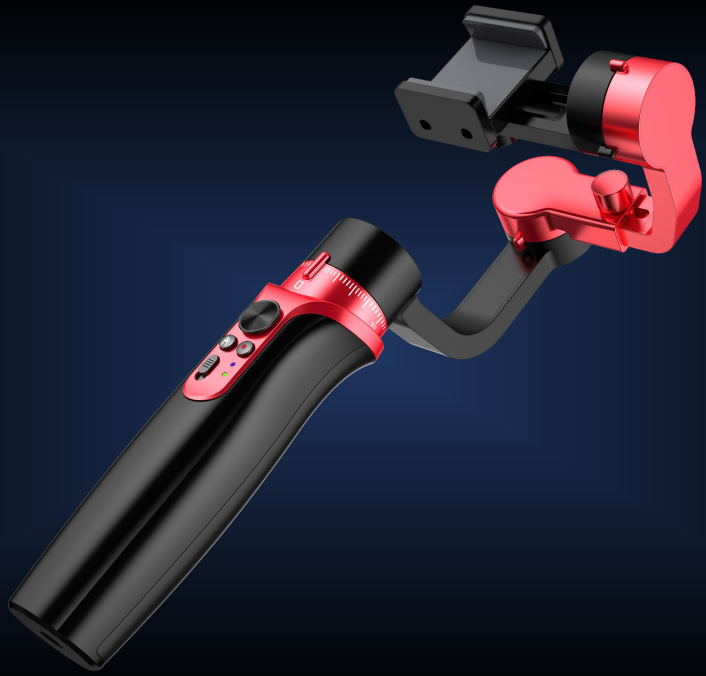 3 axis Gimbal Stabilizer can be divided into 4 parts, including Three-axis Smartphone Stabilizer, three axis micro dslr stabilizer, 3 axis camera stabilizer and 3axis motion camera stabilizer. For different consumer, there are 2 kind of 3 axis gimbal stabilizer for them, which are Consumer Stabilizer and Professional Stabilizer.